People have asked me before, when it comes to this website, "Don't you run out of things to write about?" to which, as I have told them, I can honestly say the answer is no, if anything, I can't write them quick enough, nor have enough time. This is especially apparent when it comes to Film Reviews like Gangster Squad here. I saw it two days ago along with Jack Reacher, and if I leave it two more days, it will be old news, and so consequentially I find my "Best Video Game of 2012" article put on hold once again so I can keep up to date, and with worryingly few days until university kicks back up again, I need to get the lead out (Wherever that came from). September 7th was the original release date, it got held back because of the Aurora cinema shooting, but I will get to that soon enough. 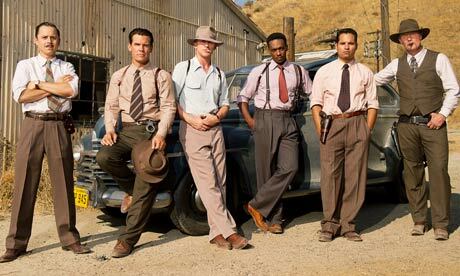 So here go, Gangster Squad, I think I'll start by saying that Gangster Squad is a terrible name for a film, the period drama that they've all gotten into (fairly well, not perfectly), the general tone, the music, the way they move, Brolin in particular looking like he just walked out of the 1940s, none of that feels like a Gangster Squad. It should have had a sweeping, more abstract name, like "The Lawless West" or "In the City of Angels". 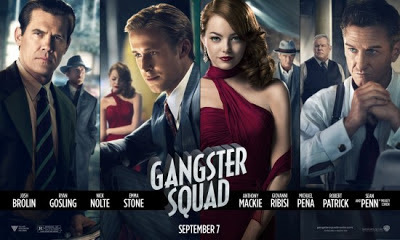 Gangster Squad sounds like 50 cent's new clothes brand, or worse still, 50 cent's new album, but I guess you've got to make it catchy, and Gangster Squad sticks in your head, if only because of how resoundingly stupid it sounds. 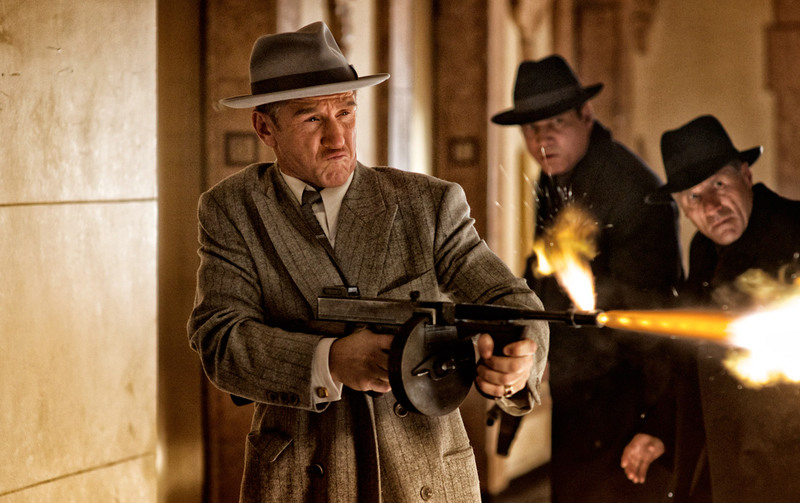 But yeah, Gangster Squad as a film is possibly one of the worst types of film, because it could have been great, and even it knows it, you can tell by the way Josh Brolin, Emma Stone and Sean Penn all swan around the shots like they are pivotal moments of movie history. 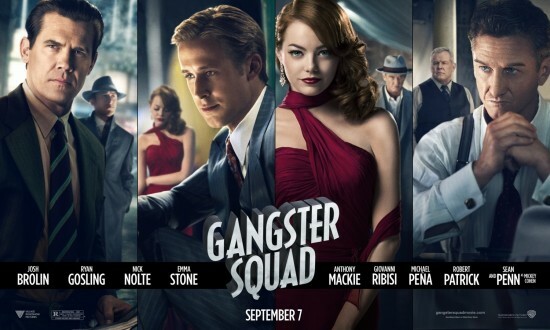 The fact this gamble ultimately fails is actually what lowers Gangster Squad lower than it needed to go, you feel a missed opportunity in every passionate scene, some come off as too cheesy, characters stop being "defining" and start being "generic". Stone comes off worst as hideously trite as the lead lady in standard, lady in red, provocative attire, which is a shame because she is a very talented actor and the director Ruben Fleischer got a good performance out of her in Zombieland. So we should probably talk about him first. 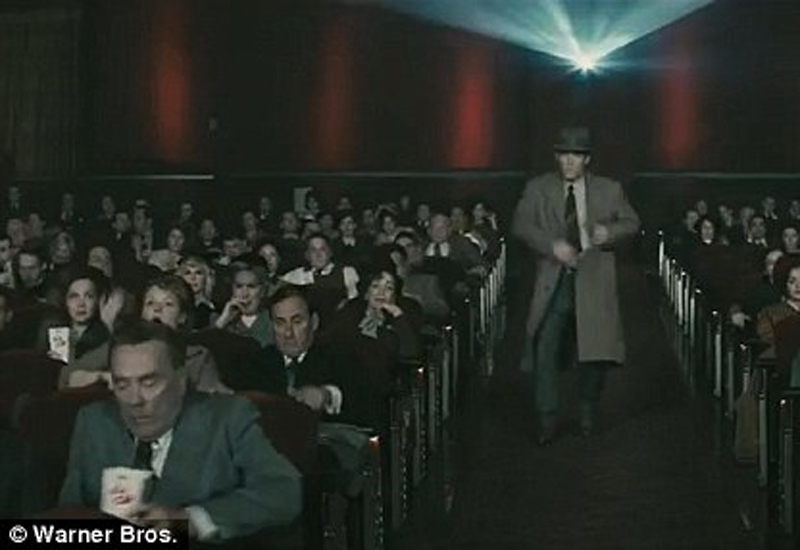 Pictured: Ruben Fleischer: Zombieland, 30 minutes or less, Gangster Squad. 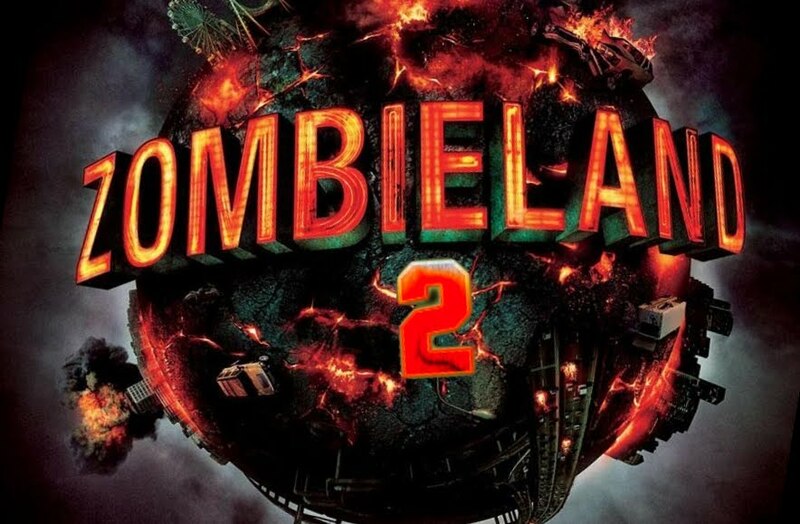 So Ruben Fleischer burst onto my and I assume most other film goers radar's in 2009 with his run away hit, Zombieland, well noted for basically only having 4 characters (the closest to a fifth being a cameo), a tight plot, hilarious reoccurring jokes, dialogue and character connection to make Joss Whedon jealous and of course, Zombies. 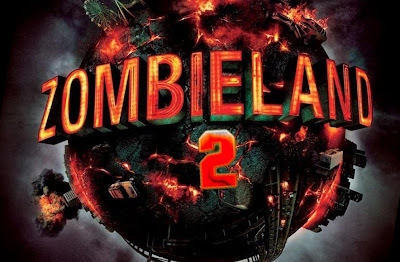 Woody Harrelson, Jesse Eisenberg, Emma Stone and that girl from Little Miss Sunshine (I'm being told her name is Abigail Breslin) all gave sterling performances that had broad appeal, Zombieland became the first Zombie movie since Shaun of the Dead you could feasibly watch with your parent. All seemed good for Mr Fleischer, but since the (thankfully) mostly overlooked 30 minutes or less came out where, just as in Gangster Squad, Fleischer would get a slightly worse performance out of one of his Zombieland actors (this time Jesse Eisenberg) and the film would generally suffer for it. Now Gangster Squad has come out as Average to Good and it isn't looking good for the hit to miss ratio of Mr Fleischer...Unless of course the next film is Zombieland 2. All sins will be forgiven, just come back to the light. So I'm five paragraphs in and currently I haven't mentioned Gangster Squad much yet, except for saying that it has missed potential. Well, okay, where to start. A consist theme of Gangster Squad is it will have a great idea, start going into it, and then have it ultimately unresolved, and I think I might know why this is. You see, I mentioned back up there that the film had been held back in the wake of the Aurora Shootings, the reason they did this was to re-shoot sections of the Movie, including the films final action scene which apparently happened in a...you guessed it, Cinema screening in Chinatown. It seems an ultimately tragic twist of fate that what might have been a great film suffered from re-shooting and editing, and a Gangster Squad Directors Cut edition, mapping the original plot would be something I'd watch. The pictures are suitably blurry, as befits unreleased film footage. Almost Tarantino-esque, Scenes like it remain in the movie after the edit as well. So once again, senseless outrage and senseless sensitivities have potentially ruined a good film, which is an issue in itself, but not one to be discussed here. Brolin and Gosling put in great performances, I would say Ryan Gosling comes out on top, but I think I might be slightly bias towards the man, I adore his voice and his face, and he plays a smooth, slick talking detective very well. He is the only character besides maybe Brolin and Penn who escape becoming generic stereotypes in the failings of the plots dialogue. Though he does have a pet street hoodlum called Petey the shoe-shine boy. Brolin is your typical square jawed Soldier turned Cop who can't quite leave the War back in Germany/Japan. The fact they keep mentioning the links between the recently fought war and the criminal war they now face could be very nicely played upon. I would probably watch a film where greater links are drawn between Brolin's mental instability, his fight against crime, and his not being able to leave behind his war career, as he spirals out of control on an ever more bloody path of revenge against Mobsters, eventually not being able to tell why he is fighting, nor who he is fighting for. 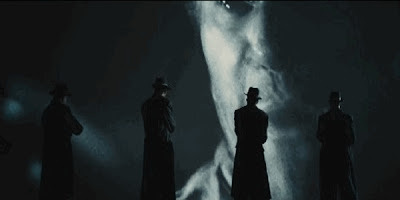 But alas, Brolin's character never undergoes something so complex, he stays pretty much dedicated to wiping Sean Penn's character, Mickey Cohen (of the Jewish Mafia, or as they are known in some circles, the Kosher Nostra). So we've covered the main two, onto the remaining four members of G Squad. The remaining members from left to right are as follows. Giovanni Ribisi, or as you and I know him, Phoebe's brother from Friends plays "The Nerd", who also doubles up as "The Family Man", who is taking part so his kid can be proud of him. After Brolin and Gosling we have Anthony Mackie, who I recognise as Tupac from Notorious, but was also in the Adjustment Bureau. Unfortunately, he gets lumbered playing "The Black One", with his primary aims being to stop Heroin flooding the streets, like an un-ironic Black Dynamite. Next to him we have Michael Pena, who you probably recognise as "The Spanish guy" in most things, and sadly enough, that role stays consistent, though there was a very poorly developed "He might be a traitor" bit, but it is swiftly dropped to the point the moment becomes barely significant. Last but not least, the guy in the stylish Cowboy hat is Robert Patrick playing an ex-detective and Cowboy gunman dead-shot who takes on the Spaniard as a kind of mini-apprentice, he is a really cool character and has some good lines, but he never really evolves past your crazy, gun slinging old man. Overall it is a solid cast of characters, and had they only received a slight bit more depth and characterisation, they would have turned from not just being enjoyable and fun to watch, but genuinely compelling when under threat, wounded, or even dying. As it stood they go from one fist fight, gun battle or car chase (all, quite nicely done by the way) with never the least bit at stake for anyone who isn't Gosling, Brolin, or glancingly Phoebe's brother. Also, Nick Nolte gets 4th or 5th billing in most of the posters, but he is in it for all of 10 minutes, which leads me to believe he was there purely to sucker in the old. Why can't all the pictures I find be this high resolution...Sigh. Sean Penn plays Mickey Cohen, Jewish Mob Boss, Boxer and generally not nice man, and Gangster Squad likes to remind you what a not nice man he is, to the point of which it gets kind of tedious He has a fairly good opening scene which gets quite gory-ridden, and then some nice subtle moments, but they keep making him lose his temper, trying to make him almost an unstable, Bronson-esque character, but it never really works, once again, they don't quite run with it and suffer for it. 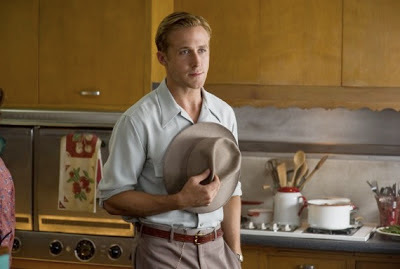 I think I have mainly focused on the bad, just assume if I don't mention it, Gangster Squad does it fairly well to good. The action scenes are good, the final, final fight is pretty damn incredible. 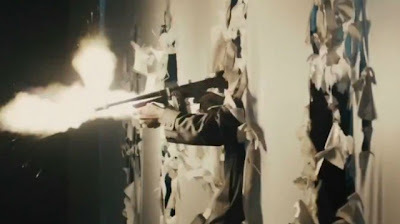 The gun fights are good, with each of the characters bringing a noticeable flair to combat, fist punches look like they hurt, it has a good sense of humour, a pretty damn good score, stylistically, everyone fits the tone well, not Argo levels of period drama well, but the 40s are harder than the 80s to recreate. The period lends itself well to the drawn out gun battles and mob boss intrigue, and it captures the Untouchables feel nicely. Ultimately however, and I'm not sure if it's due to under or over ambition, Gangster Squad falls short. 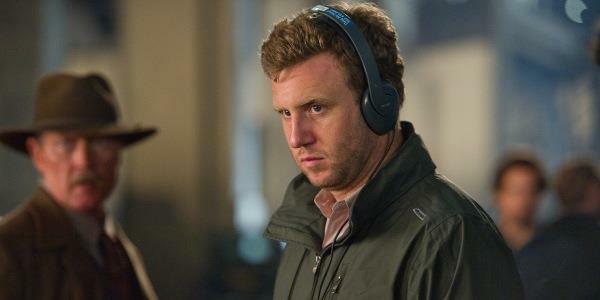 I'm not sure if it is Ruben Fleischer poorly intimating a Gangster Movie, he seems to have all the Lego bricks, so to say, just not sure how to put them together just right. I'm willing to give him the benefit of the doubt, that he was screwed over by Aurora and an over-sensitive society. But in it's current state, I can't give Gangster Squad more than a 6.5 out of 10...Not that, once again, the numbers really mean anything. Looking at this blog is like picking up a daily newspaper. I look at it every day. You keep up a high standard even when you are busy. You obviously love writing for an audience (I think you once said you didn't do it for the money..ha ha). I can't say anything about the film cos I haven't seen it. I don't think I could look at Giovanni Ribisi without hearing him say 'I melt stuff'. Indeed, it was hard to accept him as "Smart nature-lover guy" in Avatar as well. Like most people attached to friends, he has been truly typecast. This is a shame, I had had the old time Gangster munchies since playing L.A Noire recently. Was Jack Reacher any better? As I will be soon posting up, Jack Reacher was, if anything, worse. Sorry to disappoint. Gangster Squad is the way to go out of the two. I swear I only ever see articles from you recently, where are the others? I think Aaron wonders that too! Sometimes, but hey, I'm currently running 57 articles to their 15 and 19 respectively, it'll look great on the eventual Cynics Movie. Ah there's a thought - board game, movie, where will it all end?